Here's another view of Antwerp's city cathedral - Onze-Lieve-Vrouwekathedraal. I discovered it reflected in a puddle out on Groenplaats one day. And loved it. 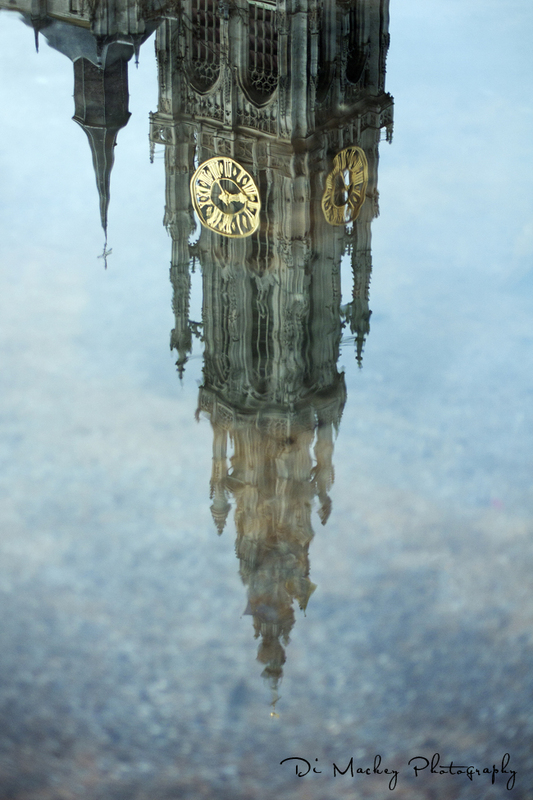 And quite possibly looked insane as I stalked the puddle edges, searching for the best angle to capture the reflection at ... but I was compelled to.